Amtrak, where have you been all my life? Seriously. If you have kids, you are well aware of how stressful car travel can be. Even if you are only driving a couple of hours away, you&apos;ve got to think about meals and snacks, bathroom breaks, and bringing along fun things to keep the kids occupied. And heaven forbid you get stuck in traffic, or have a flat tire. So many issues to think about and prepare for. Any one of these issues can make traveling with kids a nightmare. Well, believe it or not, you can dial down travel-related stress by taking the train. Yep, I&apos;m talking about Amtrak. 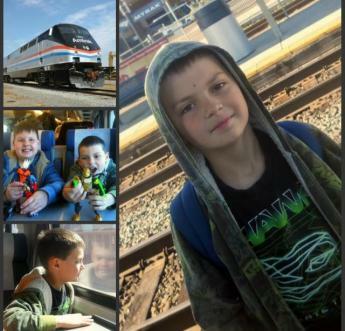 For the first time ever, my family recently hopped on Amtrak in Sacramento for a day trip into San Francisco. I can&apos;t believe we waited this long to do this! It was comfortable, convenient, surprisingly easy and definitely stress-free. 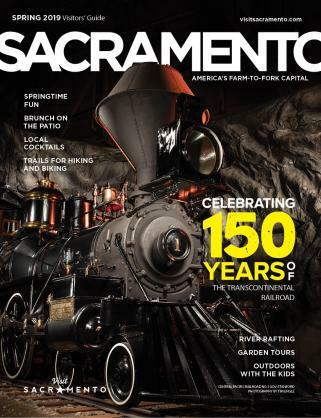 We boarded the Capitol Corridor right downtown at the Sacramento Amtrak Station next to Old Sacramento. We enjoyed a comfortable ride into Emeryville, at which point we made a quick and smooth transition to a clean and comfortable Amtrak bus, which then took us the rest of the way into the city. Twenty minutes later the bus dropped us off right in the heart of Fisherman&apos;s Wharf. No dodging pedestrians, circling the parking lot waiting for someone else to leave, and no parking fees. We spent the day learning about sharks at the Aquarium of the Bay, watching the famous Pier 39 sea lions soak in some sun, shopping (and eating) at Ghiradelli Square and enjoying the beautiful weather while playing on the beach at Aquatic Park. After a fantastic dinner at the Fog Harbor Fish House at Pier 39, we headed back out to the Amtrak bus stop just a few steps away and boarded the bus for home. It was all so very nice and easy. 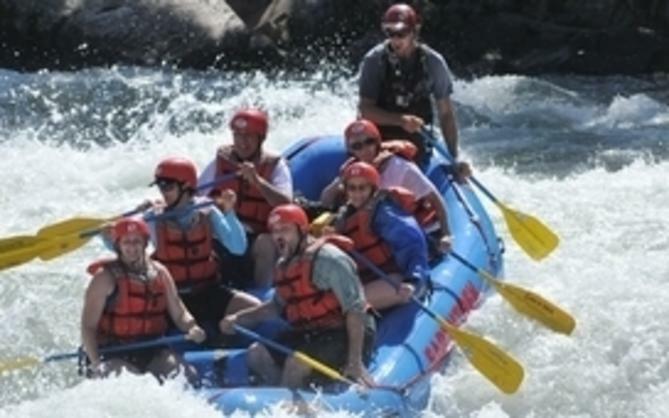 We will definitely make this trip again and recommend that others do so as well. Not only is it a perfect way for locals to travel to the Bay Area, but it&apos;s even more perfect for out of town visitors who don&apos;t have a car or who simply don&apos;t want to navigate the Sacramento to Bay Area traffic. 1 - Freedom. My boys, ages 8 and 11, were absolutely ecstatic about not having to wear seat belts. They could stretch their legs, move around and even get up and walk around, whenever they wanted to. They also loved sitting at a table where they could take out the Legos they brought (snuck into their backpacks without my knowledge) and spread them out for the duration of the ride. 2 - Restrooms. No more making unexpected potty breaks! It was so nice to have access to a bathroom whenever my boys needed one...especially considering all the water and soda they drank throughout the day. Boy was I glad we didn&apos;t have to make all those stops while in the car! 3 - Meals and Snacks. We brought our lunches with us, but it was nice to know that there was a snack car on board, just in case we got hungry on the way back. I absolutely loved having the option! 4 - Free Wifi. Bring your laptop (ipad or iphone will do) along and your kids will be occupied for hours due to Amtrak&apos;s free wifi access for passengers. Amtrak even has travel games for kids to play on their website at Amtrak Kids Depot. 5 - Relaxation. We got to relax and have fun, too. Yep, I know it&apos;s almost undeard of, but when you are letting someone else do the driving (so to speak) you don&apos;t have to worry about a traffic jam, accident, or car trouble, all of which we witnessed on the highway beside us somewhere along the way. I have to admit that I felt just a little bit smug about being able to race on by all those "poor" people stuck on the freeway. I just sat back, relaxed, and enjoyed spending some quality time with my family. So, next time you are planning a vacation, whether you are going somewhere far away, or fairly close by, consider taking Amtrak. 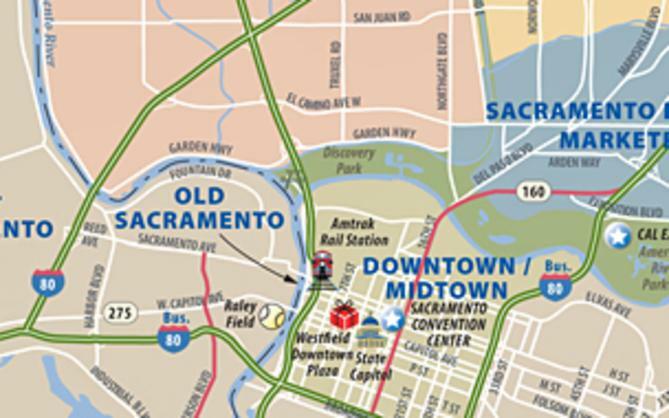 Our Sacramento Amtrak station location can&apos;t get much more convenient. Located just off I-5&apos;s J Street exit, with Historic Old Sacramento, Westfield&apos;s Downtown Plaza, the California State Capitol and plenty of shops, restaurants and hotels nearby, it&apos;s perfect for outbound and inbound travelers. I&apos;m already planning our next trip...and I think this time it will be aboard the Coast Starlight heading down to Southern California. I hear the views are spectacular as it coasts alongside the Pacific Ocean. I Can&apos;t wait!